Note: For a vegan dish omit yogurt. John had a day in the office today so I was officially in charge of dinner. Since I am cooking it usually means something vegetarian is in the offing. Tonight’s dinner is a new recipe for me from Bon Appetit by Yotam Ottolenghi, an Israeli chef. So we are doing a delayed celebration of Rosh Hashanah. Our daughter has made a delicious honey cake as well. For the spiced eggplant it is basically a bunch of spices smeared atop eggplant halves and baked in the oven for about an hour. During the cooking time you can hydrate the bulgur and then add the herbs, fruit, and nuts. The dish is served with some yogurt that we added sumac to. When I make it again I would cook the spices for the eggplant first since they came out a little raw tasting. Also I did not use as much oil or salt. The bulgur could have used a little more punch, maybe some chiles, and it did require quite a bit of seasoning. 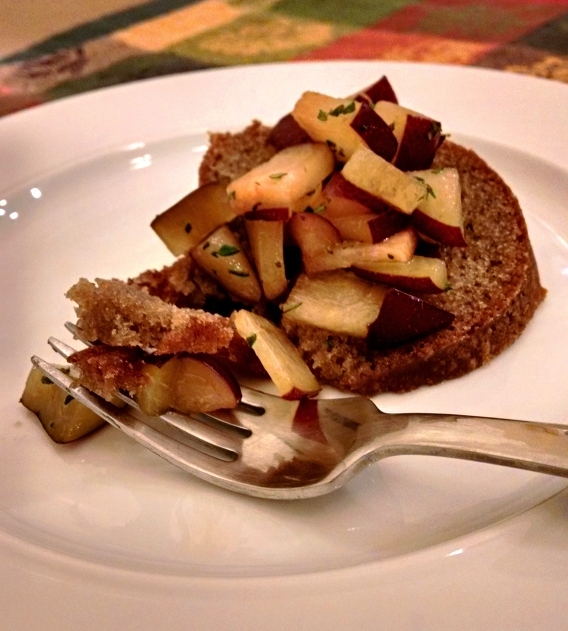 The honey cake was served with sliced up plums in honey with thyme. Yum! Here is a link to her blog post with the recipe. 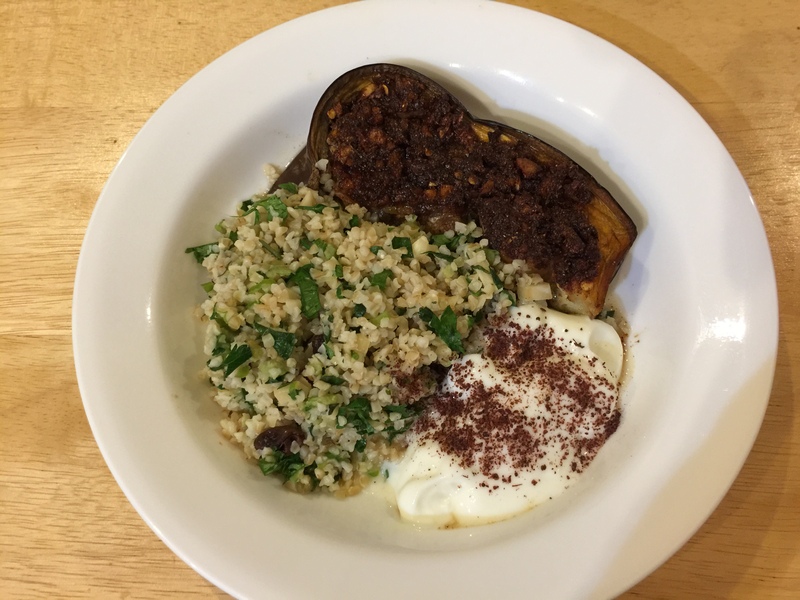 This entry was posted in Vegan, Vegetables, Vegetarian and tagged bulgur, Eggplant, honey cake. Bookmark the permalink.